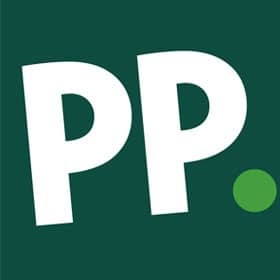 The Rocky scratch card is available at Paddy Power Casino, in the Instant Wins category. It's a different type of game in that it only has three panels. Having grossed in excess of $1 billion worldwide across seven different films, Rocky is one of the most successful movie franchises of all time. Starring Sylvester Stallone as Rocky Balboa, the first movie was released 40 years ago, in 1976. The most recent addition to the boxing saga was Creed in 2015 , for which Stallone was oscar nominated. Creed was also the only Rocky movie that he did not write and it has since been announced that a sequel to Creed is in development with a release date tentatively set for November 2017. 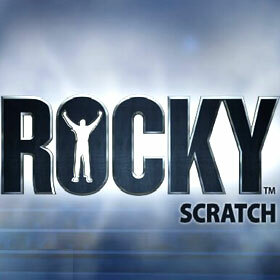 The Rocky scratch card is available at Paddy Power Casino, in the Instant Wins category. It's a different type of game in that it only has three panels. Each panel is represented by an arch nemesis of Rocky, namely Apollo Creed, Ivan Drago and Clubber Lang. 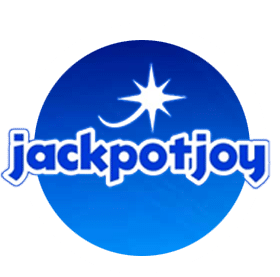 You can play for as little as 1p where the jackpot is £50 all the way through to £100 per scratch card, where the jackpot is £500,000. You then choose one panel to scratch and a short clip of the movie will play to reveal whether you have won or not won. The only bonus with this game is if you reveal a knock out clip which instantly rewards x5,000 your stake. 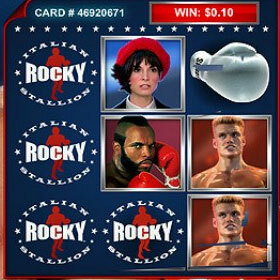 Fans of the Rocky movies will love this game so if you fancy playing, check it out now at Paddy Power Casino.